This was my mothers watch, it has diamonds set above and below the crystal and diamond and rubies for the hour marks on the dial. It is all original and the case has "base metal" stamped on the back. The band is original and appears to be stainless steel. Hello anil8tor, welcome to myBulova. I think you're most fortunate to have this lovely keepsake from your mother, it's very nice. I'm not having any luck finding an advert that matches it. Are there any Bulova markings inside the case back? What exactly does is say on the outside of the case back, is that where you see the words 'base metal'? The movement date code seems to be 1937 as you've indicated but I'm not sure the case is from that era. The dial, I think, is most likely a jeweler customization. An easy one, the logo of the I.D. watch company. 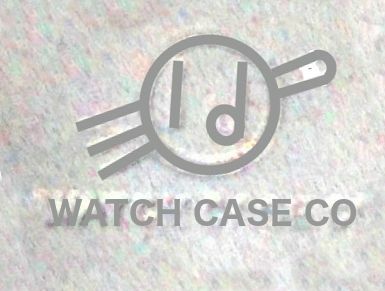 What was to become a group of companies founded by Isidor Dinstman, trademarked in 1936 in New York, and an offshoot of the Queens watch case Co. Also related were the Diel watch case Co, J.B. watch case Co., and Leeds watch case Co. The company operated out of Jamaica, Queens until the sixties when they moved to Alabama. There was a common practice, for that matter there still is, of mixing and matching watch parts from various manufacturers. In this example a jeweler has taken a very fancy watch case from the I.D. company and added a Bulova movement and dial. In the process they added some diamond and ruby chips to the dial to kick it up a notch. The result is a very nice watch. Because the case isn't Bulova we call these watches "Non-Conforming", that is to say they don't completely conform to an original Bulova model. My guess is that this little beauty was created in the mid fifties although it's just a guess. Either way I think you're fortunate to have an heirloom watch from your mother, I imagine it was very special to her. Be sure to have it professionally serviced if you plan to wear and use it. Thanks for sharing it. Thanks! Yes that fits, although the story I got was that my dad purchased it in the late forties, just before they were married. As I recall he was stationed in Thule Greenland flying the "boom" on KC-97 refueling tankers for the USAF, then the same in the KC-135. I am not sure if he purchased it there or after being re-assigned to Lockbourne AFB in Ohio. In any case, if you have seen Thule you can bet he didn't have anything else to spend his pay on. The watch was her prize possession, she rarely wore it, but alwayse kept it close by. (Dad passed in 1984) When alzimers started "stealing her memories" she gave it to me with the instructions to "sell it as it must be worth something"
The watch runs, although I have never wound it more than one or two turns. To me the value of a watch is often in the story, I'm nostalgic so the story of an heirloom often can have greater value than that items monetary worth. Don't get me wrong there could be great monetary value (disclaimer - I AM NOT qualified to appraise this or any watch). I'm of the mind that as a keepsake. the value your mother placed on this watch was truly priceless. I would love to see you honor THAT memory buy having it serviced and wear on your own special occasions! Perhaps you have someone you can leave it with some day as well?